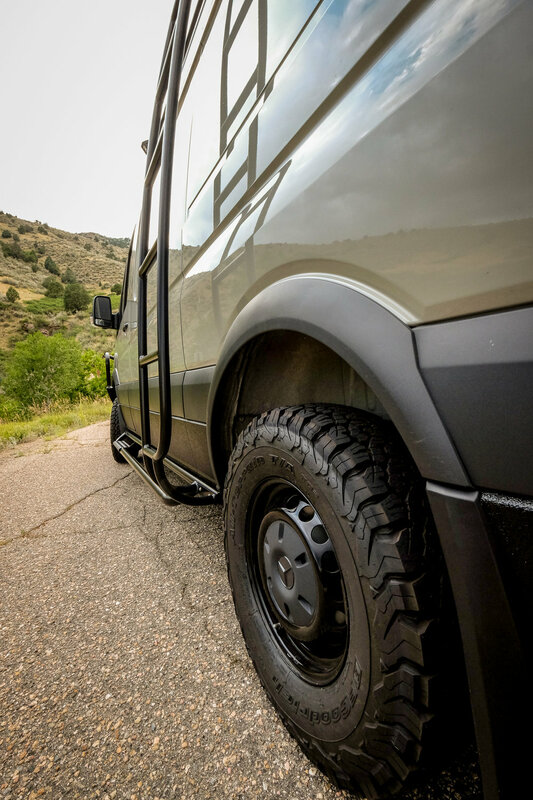 Aluminess Products cover this van from top to bottom. Chad decked out his ride with an Aluminess front bumper with brush guards, shackles and Hella 500 Fog Lights. 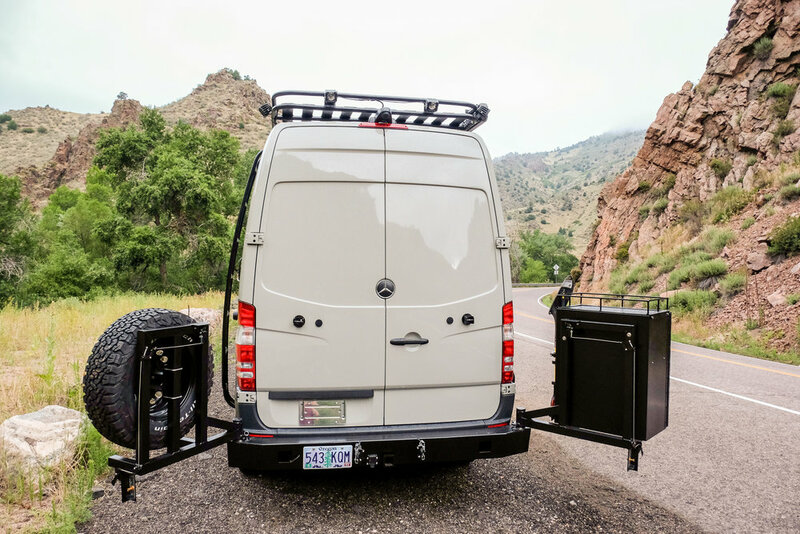 The back of the van is tricked out with a Slimline rear bumper with a hitch and swing arm for his tire holder and galley box. 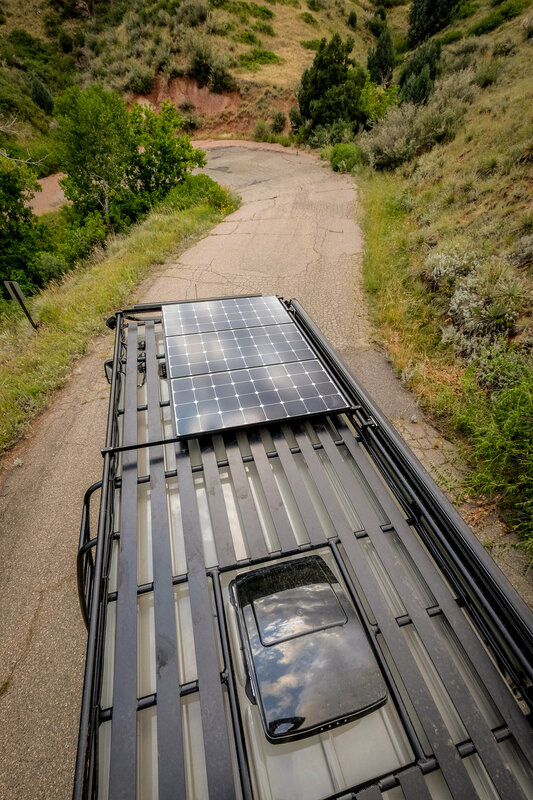 The tread plate step and ladder lead the way to his touring roof rack. 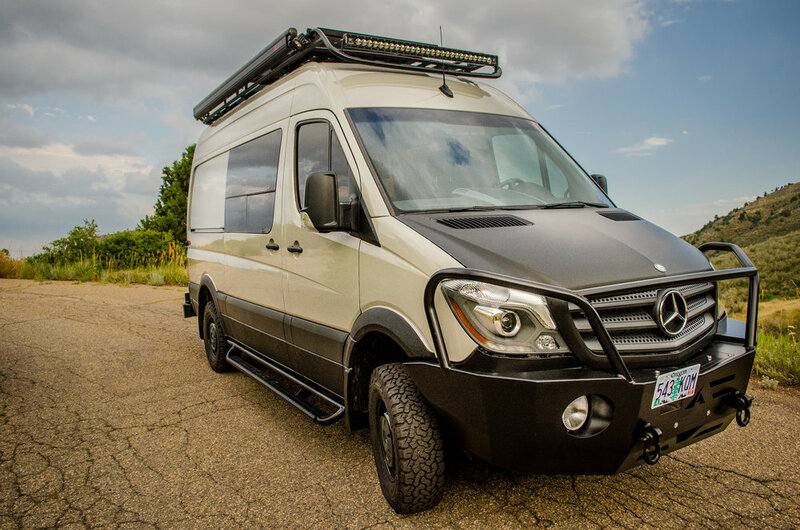 Chad also accessorized his Sprinter with a Fiamma awning, a Rigid LED light bar and 6 green glow Rigid cube lights. Swivel seat adapters maximize Chad's living space. A custom pine table top was mounted on a Lagun Table System. Both the arm and the Table Top Mount swivel 360 degrees so that it can be utilized as a dining table, a desk, or extra counter space. The system stores neatly next to the kitchenette when not in use. A four bottle wine rack, stainless steel backsplash, ceiling mounted cowboy hat rack and early American stained pine slatted ceiling make this van a ride John Wayne would be happy to drive. 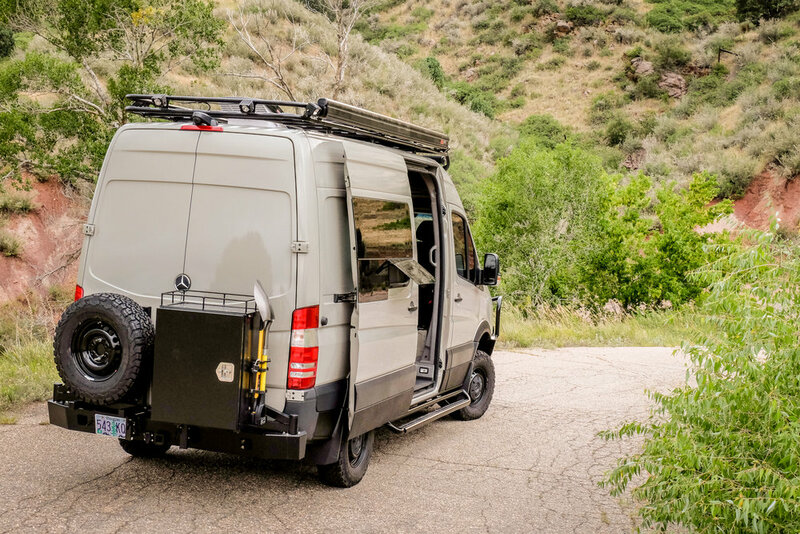 This Mercedes Sprinter 4x4 conversion features enough room for a queen size 6" memory foam mattress and a touch-to-open 3 drawer unit for under the bed storage. A rear door mounted heated shower unit makes this space more than just storage.